Beta is a limited release E.P. which is simultaneously the last ever release by Synaesthesia whilst at the same time being the first ever release Kyros. An alternate title could be ‘Janus’ for the God with two faces – one looking back at the past and the other gazing towards the future of the band. 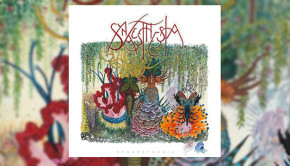 When Synaesthesia was voted as ‘Tip for 2014’ by PROG magazine it was mainly a studio project focused around the precocious and prodigious talent of young keyboardist and vocalist Adam Warne. The resulting eponymous 2014 début album, produced by IQ’s Michael Holmes and released through his Giant Electric Pea label, was a warmly received and impressive first release. Warne recruited a live band and Synaesthesia appeared with IQ and Marillion, played the prestigious Rosfest in USA and more recently toured Europe supporting Prog legends Spock’s Beard. With such a pedigree it was therefore quite a surprise when they announced in September 2015 that they were leaving G.E.P. due to ‘creative differences’ and wanted to independently produce and release their music. The name change to ‘KYROS’ was also announced, partly due to other bands claiming the Synaesthesia name, but mainly to underline that this was a new beginning. 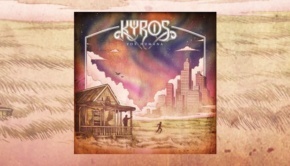 As part of this change and to help finance their music, Kyros recently released this E.P. 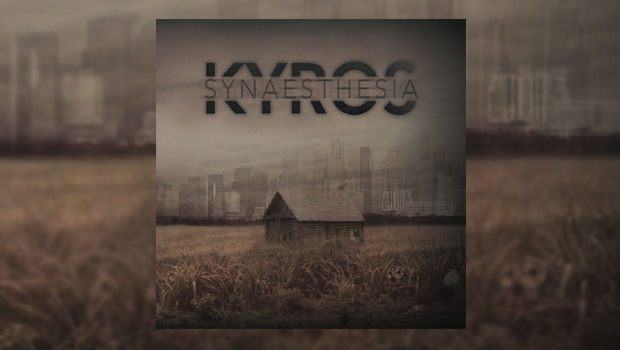 which features new Kyros tracks alongside older Synaesthesia demo material. One thing that strikes the listener is that this is clearly a rock song written by and for a band with driving drums, chiming keyboards and soaring guitars over an anthemic chorus. This is no longer an Adam Warne studio project, although Warne was no stranger to anthemic rock songs on his debut album with Life’s What you Make of It, and this song has a similar theme and feel. The main songwriters in Kyros are Warne, Joey Frevola and Sam Higgins with all band members involved in production and arrangements. This more band oriented approach will affect the direction of the music as different members bring new influences to the sound. On Beta this is most clearly demonstrated on The Lamb, The Badger & The Bee. This is a more complex and challenging song, initially featuring bassist Peter Episcopo on vocals followed by guitarist Higgins and keyboardist Warne. Episcopo sings the first part, presumably as ‘The Lamb’ with Higgins as ‘The Badger’ and Warne finally as ‘The Bee’, with all three combining beautifully for the final outro section. 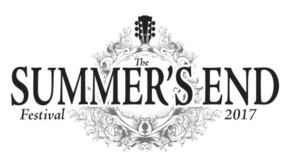 Warne has revealed that the track is based around three characters in the new album’s overall story, the animals used based on the personality traits of the characters; The Lamb is very innocent, naive and full of positivity, The Badger is a very mean, negative spirit and the Bee is a workaholic who spends all his time full of energy. This is a curious piece comprising various sections and styles. The use of multiple vocalists is an interesting idea to try to convey the different characters. This track may also partly reveal the circumstances of this release as it was put together with limited time prior to the their recent European tour with Spock’s Beard. Therefore, they are effectively ‘works in progress’ for the new album, and on this song it does feel as if there is still some work to be done on fully developing and honing such an ambitious composition, particularly the vocals. Nevertheless, it is inspiring that this is a young band clearly keen to stretch itself musically and thematically with such an unorthodox song. The final Kyros song on Beta is the dramatic Technology Killed the Kids II, in which the band really rocks around a magnificent pulsating showcase for Warne’s keyboards. The sounds Warne produces evokes images of Frankenstein maniacally trying to harness an electrical storm to bring life to his creation. Presumably this is a sequel to the keyboard dominated curiosity Technology Killed the Kids on Synaesthesia, and whilst there are similarities the differences in these two songs may also reveal clues to the new direction of Kyros. In contrast to the Synaesthesia forerunner, this sequel feels more organic and atmospheric in nature, enlivened within a band format. The remainder of the E.P. are demos of songs written for the Synaesthesia album. They are curios that show the potential of young Adam Warne which Mike Holmes helped shape into the fine début album. The more attentive Synaesthesia listeners may spot in the ‘unreleased’ but interesting demo When the Clock Strikes Twelve elements that later became the main riff in Sacrifice, which ended up on the first album. This demo was written in 2008 when Warne was just finishing school and starting college (!! ), and only time constraints prevented it from fully appearing on the album. 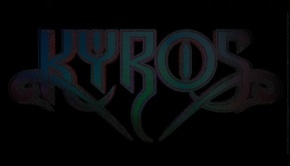 The new band name KYROS is derived from the Greek word ‘Kairos’ meaning ‘in the moment’, ‘the divine moment’. It remains to be seen whether 2016 will be the ‘special moment’ for Kyros after their brave decision to become more independent. However, Beta shows a lot of promise for this new band and it will certainly be very interesting to see how they move forward with their new album, Vox Humana.